On Monday mornings, I consider my walk with God via His Son Jesus Christ, having finished Sunday morning worship and a weekend of family time. This week's post is the lesson I will be presenting this Wednesday evening to my AWANA Journey (high schoolers) group. It is based on AWANA's Faith on Trial curriculum. Earlier this year, while the Indiana Legislature was in session, one proposed piece of legislation was Senate Bill 89.1 This Bill would have allowed for public school districts to allow the theory of creation to be taught alongside the theory of evolution. The Bill passed the Senate, but did not make it out of committee in the Indiana House of Representatives. We should absolutely, positively teach it. Why? Quite simply, because creation is how the universe came to be, not evolution. Science supports the biblical account of creation. Where's the support? We have time only to sample a few pieces of evidence, so here are some examples that support creation and some examples that demonstrate the fatal flaws of the evolution hypothesis. 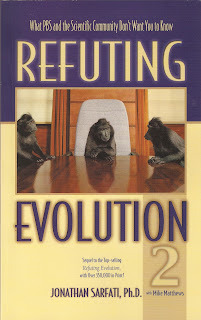 One common argument is to use observations of natural selection and say that this is evolution. This is not true. They are opposites. To illustrate this, consider dog (or cat, if that is your preference) breeding. You start with a male and female that happen to have traits you like. They have puppies or kittens, and some have traits you like, some do not. Choose the ones you like, find others that have the traits you like, and they have puppies or kittens, and so on. Eventually, you have dogs and cats that have certain traits, but not others. This is not evolution, this is selective breeding. Natural selection is the same thing - it takes some traits but not others. Here's another way to look at it: Going to a U-pick strawberry place, or perhaps a U-pick apple orchard. You go, and you get your basket or bag, and you choose the fruit you like, leaving the others behind. Hopefully, you have a fresh batch of fruit by choosing from what is there! You cannot leave the orchard and add to your choices. Evolution, on the other hand, pre-supposes that something, or someone, has a certain amount of genetic information and someway, somehow, additional information is added, such as in a genetic mutation. However, mutations are typically destructive, not constructive. Natural selection takes away from a set of information. Evolution adds to information. Natural selection also is an argument in favor of Noah's ark. As you may recall, two of every kind were brought by God to the ark (with seven of certain clean kinds). After the flood, the kinds dispersed and multiplied, giving us the variety we see today. It is an argument in favor because the ark would not need every type of, for example, dog. Or cat. One of each. Then, over time, you get great danes, you get little “yak yak” dogs. 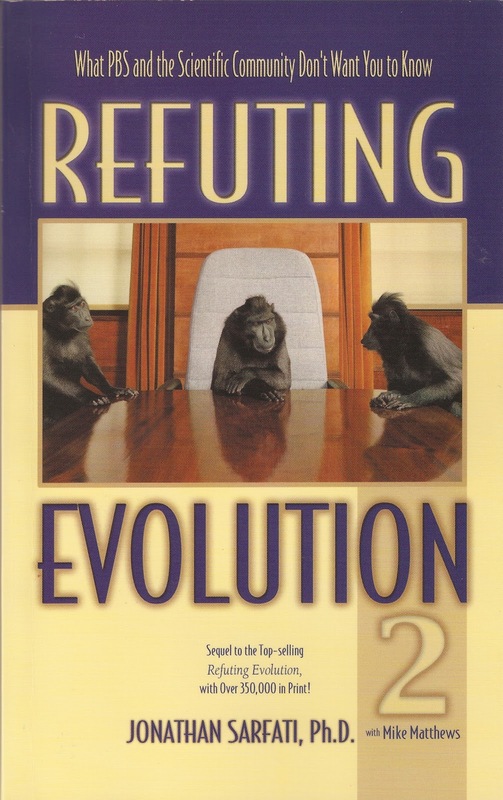 For the sake of argument, let's suppose for a moment that the evolution theory is correct. Some type of light sensing mutation appears in a being. Over time, an organ evolves. Let's say it could happen. A question to consider: If public school and popular culture science were really all about teaching truth, instead of perhaps promoting an agenda, why aren't the facts about irreducible complexity and the fossil record more widely known? Rock samples from a lava dome within the Mount St Helens crater were dated using the potassium-argon method. Whole-rock samples gave an age of 350,000 years. When some of the amphibole minerals in the rock sample were extracted and analyzed separately, their age was more than double at 900,000 years. Two mineral samples of a different mineral, pyroxene, gave an age of 1,700,000 and 2,800,000 years. Which age is right? None, actually. The lava dome formed after Mount St Helens exploded in 1980 and the samples were just 10 years old. Should there be a law that requires teaching creation? Instead, as we discussed last week in the context of science and bias one way toward the other, nobody is neutral. We are either for God, seeing the evidence and concluding a Creator; or we are against God, seeing the evidence and concluding no Creator. A law does not change that. The only thing that does is faith. The consistency of creation and faith, as we've discussed, helps. While it helps, we need to remember that “faith comes by hearing, and hearing by the word of God.” We will talk about that in Lesson 12. Is believing in a Creator enough? This concludes Lesson 9 of 12 in AWANA Journey's Faith on Trial curriculum. In Lesson 1 we introduced, defined, and supported Biblically, the term “apologetics.” In Lessons 2, 3, and 4 we explained how we can know that Jesus is who the Bible claims He is. Lessons 5 and 6 explained how we can know the Bible is what the Bible claims it is. Lessons 7, 8, and 9 give evidence that scientific disciplines including archaeology and geology support the Biblical worldview. This week we see that science supports creation. Next week is Spring Break. In two weeks we will listen to some audio, selected phone calls to a call in radio show “Stand to Reason” that will be consistent with what we are studying. After that, Lessons 11 and 12. In Lesson 11 we will learn how it is not enough just to believe in a Creator, but that saving faith comes only through believing in what the Creator has revealed about Himself, namely the person and work of Jesus. Jesus is the only way to God's forgiveness of sins. There are reasons why this is so, and that's where we will look a little closer. Lesson 12, after that, is the concluding “charge”, where we put it all together. We will show that faith is not believing something without proof, but absolute belief that comes because Jesus calls us to Himself, and provides us with reasons to do so. Stay with us! 3Charles Darwin, The Origin of Species by Means of Natural Selection, in Robert Maynard Hutchins, ed., Great Books of the Western World, vol. 49, Darwin (Chicago: Encyclopedia Britannica, 1952), 85. Scriptural Citations: Unless otherwise noted, all Biblical quotations are from either the English Standard Version (ESV) or New King James Version (NKJV). And that is why Current in Carmel goes mostly unread into our recycle bin! And our children bypass the Indiana school system.